Do you have quite a lot of electronic waste that has accumulated over the years, and you have no clue how to get rid of it? If yes, there’s no need to worry. 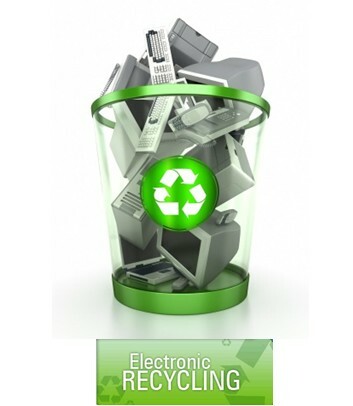 There are some extremely easy ways by which you can easily get rid of all your electronic waste without any hassles. You can easily adapt ways to recycle electronic waste such that you encourage the cause to keep our planet green. So, the basic idea to get all your e waste disposed off properly must be to take care that it does not pose a threat to the environment. You must of course be well aware that you must never, ever dispose off any of your electronic waste with your regular trash as this will cause extreme harmful to the natural environment with the heavy metals like lead and mercury that it might contain. Therefore, the first and most important way of recycling your electronic waste, is that if you have any old mobile phone, I pod, I pad or any other device that is still in working condition, then you must approach a non profit organization that looks after needs of those who cannot afford to spend money on such devices , despite being in utter need. These organizations donate the old electronic wastes in a systematic and organized manner, to ensure that each piece of the working cell phone, goes to the one who deserves it the most. However, for all the other electronic waste products like any old non working DVDS, CD players, home theaters, game consoles, computers and its many waste parts like old used cartridges, printers,laptops and many other e products, that are now so common in our completely digitized world, you must get in touch with very reputed e waste brokers, who are certified and are known to provide very reliable services for electronic waste collection from your premises. There are facilities provided for hauling off the old refrigerators and other e wastes that cannot be recycled. You must be careful while you take out all the e waste from your home or work place, since the method you adapt to dispose each item of e waste, will have an impact on the environment either in a good way or a bad way. So, to select the right method and approaching genuine waste brokers, will actually help you to get positive results in recycling, rather than trying to dispose it off on your own. Thus, you must keep in mind to never ever throw any of the electronic waste along with your regular trash. If you do so, it will go off as landfill and this will in turn make the entire land in and around it full of toxins in future as these electronic products are completely non biodegradable and hence are potential hazards for our planet and its environs. You must consciously adapt ways to help keep our planet green and clean.